Should People With Knee Arthritis Participate In Running Exercises? Can You Run With Arthritic Knees? Arthritis is a series of diseases that can cause unpleasant, painful symptoms, as well as inflammation, tenderness and other symptoms. When the condition becomes severe, it can lead to more severe symptoms that may become disabling later in life. There are quite a variety of different arthritis diseases, each affecting the joints in its own particular way. 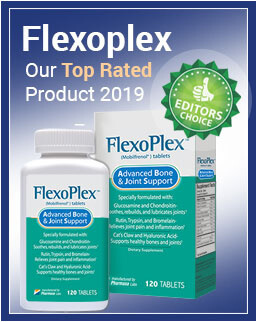 The Centers for Disease Control and Prevention reports that around 54.4 million adults in the United States are diagnosed annually with some type of arthritis, with osteoarthritis, rheumatoid arthritis, lupus, fibromyalgia, and gout being the most prevalent types of these diseases. While these diseases often tend to affect the hands, they are also commonly found to develop in a patient’s knee – sometimes in both knees at the same time. This post is geared toward the runners out there that have been diagnosed with arthritis in their knee. We are going to take a look at how arthritis affects the knee and whether running with knee arthritis is a good idea… or not. While our post is about running with knee arthritis, we should first consider the symptoms that may point out the possibility of knee arthritis. Many people are experiencing symptoms in their knee without knowing the exact cause. 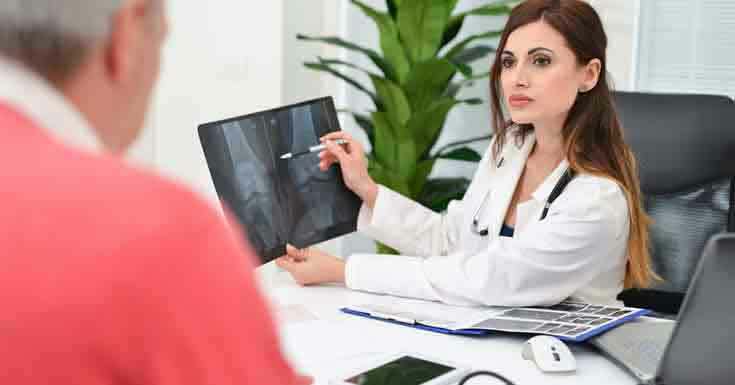 By determining the symptoms of knee arthritis and comparing these symptoms to the ones you are experiencing, you will have a better idea of whether you may have this particular condition. In such a case, you may choose to follow the particular procedures that should be followed by runners who are suffering from arthritis in their knee. Healthline reports that pain is the most common symptom, but the pain increases gradually and not suddenly. When sudden pain is experienced, it could rather be due to an injury you sustained during your last run. They also report that kneeling and climbing stairs may cause the pain to become worse. When you stand up after sitting for a while, the pain may also be enhanced somewhat. Apart from the pain, arthritis in the knee is also associated with tenderness in the affected knee, as well as inflammation. Do note that inflammation may not always be present. In many runners with knee arthritis, the inflammation in the affected knee become present or worsened after a long run. Furthermore, some people experience buckling in the affected knee due to weakened muscles. The range of motion may also be affected in a negative way, and cracking sounds may be heard when the knee is moved. When arthritis in the knee progresses to a more advanced stage, deformities may also be noticed. 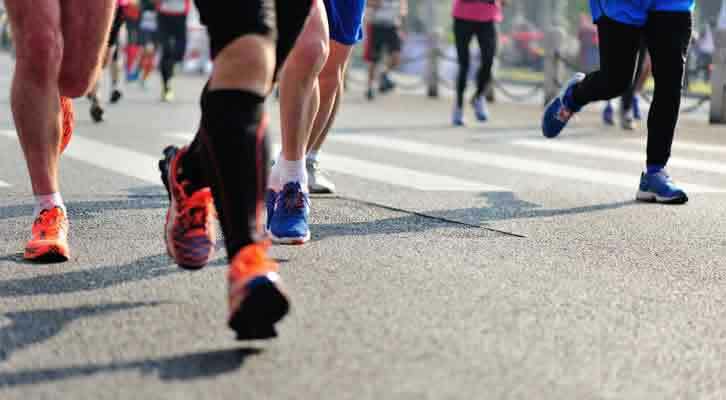 A lot of runners that experience symptoms of arthritis in their knee, as well as those that have recently been diagnosed with knee arthritis, often tend to ask the question “is running with knee arthritis safe?”. This question is difficult to answer accurately as the answer to the question would depend from one person to another. For some people, running may be a good way to keep their muscle strong and may even lead to less severe symptoms, but for others, running might cause more bad than good. There have been some reports that running adds to the many contributing factors of developing knee arthritis, but this has been dubbed as a mere myth after a scientific study was conducted to compare the wellbeing of a runner’s knee to the wellbeing of a non-runner’s knee. Runner’s World reports that a recent study, conducted on a total of 2,637 participants, were performed to provide solid evidence that running does indeed lead to an increased risk of knee arthritis. The participants were all affected by osteoarthritis in at least one knee. The participants were provided by the Osteoarthritis Initiative, and the study was funded by the National Institutes of Health. The study was conducted over an eight-year period, and each participant was asked to complete a questionnaire about their physical activity level during the past eight years after the study has ended. X-rays and other scans were performed on their knees at the start of the study, as well as at the end of the study period. To their surprise, the researchers found an inverse association between running and knee arthritis to what they initially set out to proof. Of the 2,637 participants, a total of 778 participated in running activities, and it was amongst these participants that the most promising results were observed in relation to the advancement of arthritis they had in their knees. They concluded that running did not only have a positive effect on arthritis but also had the ability to reduce the severity of the pain that is often associated with knee arthritis. While these statistics proof that running may be beneficial in some ways to people with knee arthritis, it is still important to consider the severity of a particular individual’s condition before advising them to go for a run if they are seeking a way to reduce their pain. Another interesting post on Runner’s World advises that more advanced cases of knee arthritis should not be combined with running, but rather with less intense physical exercise that could strengthen the muscles around the knee without causing additional damage. They also advise that people with arthritis that has advanced to a bone-on-bone stage may require a knee replacement or another surgical option to help them reduce the symptoms they experience and add new support for their bones since such a condition means the cartilage that is meant to protect the bones from rubbing against each other has deteriorated to a point where it is unable to provide cushioning any further. Developing arthritis in the knee can be painful and uncomfortable, especially if you are a runner. Runners tend to run for miles every day to maintain a fit body, but when their knees become painful, their ability to go for a long run may be inhibited. Still, some studies do suggest that this particular form of exercise could be beneficial for the knee and even lead to less severe pain, which would ultimately be a positive factor for the affected person.